In insurance, a managing general agent (MGA) is not a new concept, but it is relatively uncommon in Asia outside the developed markets of Hong Kong and Australia. Many of us may not have the full grasp of the concept while some think it does not rightly fit into the ‘distribution channel’. The MGA structure developed significantly during the 1990s and 2000s, but the role “agent” dates back to the 19th century. In some countries, MGAs are referred to as underwriting agencies and in the United Kingdom, the term MGA was once known as ‘Coverholder’, where the capacity provider was Lloyd’s. In fact, this term is still being used in Australia, which has Australasia’s largest concentration of MGAs. Today, MGAs are regarded as one of the fastest-growing segments of the insurance industry and recent research also showed that up to 21 of the top 25 property and casualty insurers have relationships with MGAs. Clearly, working with MGAs is beneficial to insurers (and reinsurers) as it allows access to specialist underwriting expertise which in turn provides for invaluable insights either in key industries or geographies. According to the International Risk Management Institute, a managing general agent is a specialised insurance agent or broker that has been granted an underwriting authority by an insurer to oversee programmes and negotiate contracts for an insurer. A MGA is likened to a wholesale broker who acts as an intermediary between insurers and agents, and the insureds; it delivers and services an insurer’s product to agencies and clients. To gain more insights on the workings of MGAs, we caught up with Anthony Egerton, Principal Officer at Nexus Structured Solutions Limited (fka Huntington Underwriting Limited (HUL)) to talk about the recent changes in the company after being acquired by leading independent speciality MGA, Nexus Group, and his thoughts on the role of MGAs in Asia. IP: Could you briefly tell us about the recent acquisition of HUL by Nexus? AE: Leading independent specialty Managing General Agent (MGA) Nexus Group announced recently that it had completed the acquisition of Huntington Underwriting Limited (“HUL”). In operation since 2014 as an associate of the Singapore-headquartered insurance services group Huntington Group Pte Ltd, HUL is an Underwriting Manager specialising in structured solutions and operating out of Labuan IBFC, Malaysia. Founded in 2008, the Nexus Group is a specialty MGA on a dynamic growth path, concentrating on niche classes of business and delivering excellent service and ‘cutting edge’ products. Unlike nearly all other multi-product MGAs, Nexus is truly independent and can justifiably describe itself as a ‘virtual insurance company’. The Nexus Group underwrites 15 specialty classes of business on behalf of over 30 underwriting partners who support their product offerings that include the following: Directors & Officers Liability, Financial Institutions Professional Indemnity, Commercial Professional Indemnity, Whole Turnover Trade Credit, Excess of Loss Whole Turnover Trade Credit, Single Situation Trade Credit, Surety, Accident & Health, Travel, European Specialty, Niche Marine, Treaty Personal Accident Reinsurance, Trade Credit Broking, Structured Solutions, Aviation and Space. Nexus is currently underwriting annualised gross written premiums (GWP) of USD350 million+, generating revenue of GBP41 million and EBITDA of GBP15 million. The Group aims to be a GBP500 million GWP international business by 2021. IP: How has this acquisition changed the business in HUL, especially as it is a Labuan-licensed entity? 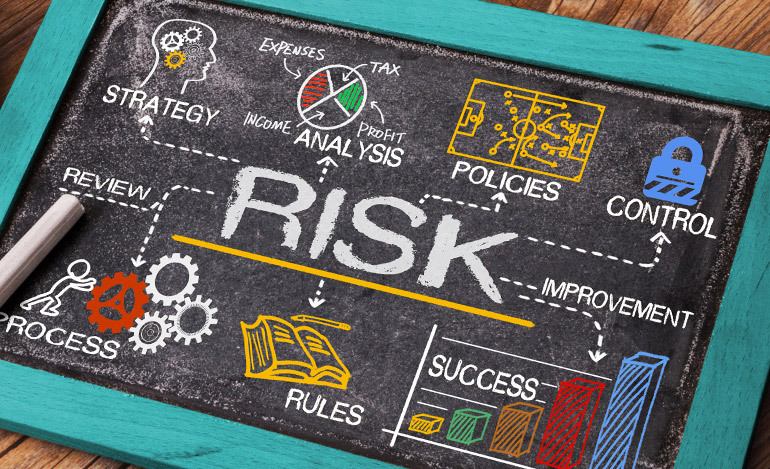 AE: Structured (re)insurance solutions are bespoke, non-traditional (re)insurance programmes that manage the volatility in ‘baskets’ of risks, usually over several years, incorporating aggregate limits of liability and rewarding underwriting profitability. HUL oversees a portfolio of structured solutions business across Asia comprising a mix of proportional and non-proportional prospective reinsurance. The operation has already been rebranded and now trades as Nexus Structured Solutions. It continues to be licensed by the Labuan Financial Services Authority (Labuan FSA) and run by the company’s founders, Gerard Pennefather and myself. IP: What are your thoughts on MGA and how does it work? Do you think it is a well-received model in Asia? AE: MGAs supply underwriting services/functions on behalf of (re)insurers for a fee (or commission), but do not absorb any of the risk. Typically, MGAs are highly specialised in the products they underwrite. The MGA model requires returning an underwriting profit to the (re)insurer, returning a profit to its investors, and the ability to access the distribution market (brokers) in order to sell these products on to the ultimate policyholders. For the last decade, the global (re)insurance marketplace has been very over-capitalised, therefore (re)insurers can either return that capital to shareholders, use it themselves, or alternatively allow MGAs to access it. A typical MGA usually focuses on one core product line as the founder tends to be a former expert underwriter in that specialised class of business. Exit tends to be via a sale to the (re)insurers who have supported it with underwriting capital. The Nexus Model approach is to run a portfolio of specialty products that are underwritten on behalf of a multitude of (re)insurers. We are building a “Virtual Insurer”, which is diversified by product and geography, thereby creating more sustainable earnings and value. Through a combination of targeted MGA acquisitions and organic growth, we have grown our business to the size it is today. IP: What are your thoughts on Labuan IBFC as a jurisdiction that offers MGA in the near future? AE: Nexus is delighted to be licensed in Labuan IBFC. It recognises the many benefits of this midshore domicile, including its strategic location, simple tax structure, low-cost base and highly skilled and experienced workforce. The Group is looking forward to a long and mutually beneficial relationship with the jurisdiction and its Regulator. Ideally, it is keen to grow the current business beyond its existing focus on structured solutions. Nexus looks forward to establishing an office in Kuala Lumpur, enjoying Malaysia’s cost efficiency while being able to expand its underwriting access to (re)insurers not currently licensed in Labuan. We are aware that the regulator is considering making adjustments to the present regulatory framework to facilitate this and as such we are extremely optimistic of the attractiveness of Labuan IBFC as a centre of reinsurance in Asia.